Gulf Coast vacationers spend their days relaxing on the beach, parasailing or splashing in a pool, but there are also many family activities that can be enjoyed when the sun goes down. For attractions that offer activities ranging from bowling and laser tag to live music and mini golf, here are the four best places for a family night out on the Gulf Coast. The Track in Gulf Shores has plenty of activities to keep everyone entertained for hours. Small children will love Kids Country which is tailored for little ones with rides like The Rio Grande Train, a ferris wheel and swings. They even have Kiddie Karts that children at least three and a half feet tall can take for a spin. Older children can enjoy the bumper boat attraction, and the more adventurous members of your family can take a ride on the Skycoaster which drops riders from 110 feet at speeds up to 70 mph! The Track also has an arcade and mini-golf that the entire family can enjoy together. 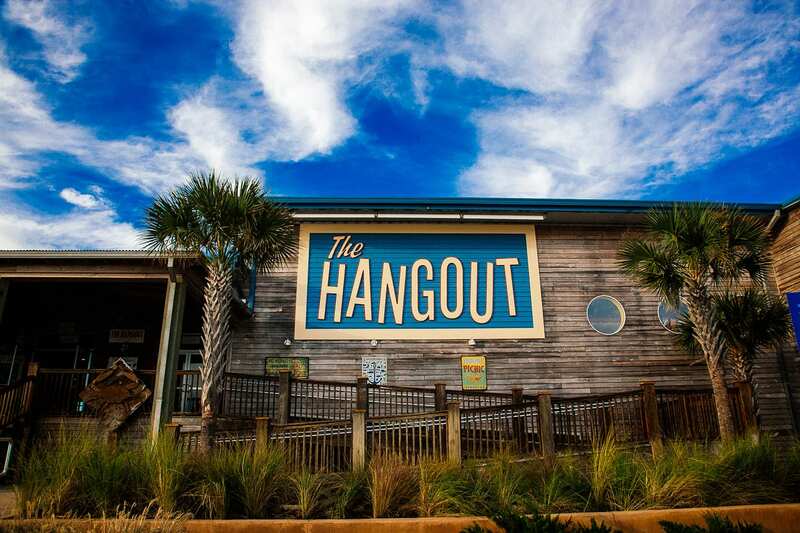 The Hangout in Gulf Shores is a great spot for families to….. well, Hangout! The food is great and reasonably priced, and the atmosphere is very festive and fun. After dinner you can find a spot to relax out back and enjoy some great live music from local bands while the children busy themselves by playing on the sand hill. Everything is family friendly, so there’s no need to worry about finding a sitter. Everyone can enjoy a night out at this popular restaurant. Angler and Ginny Lane, unique boutiques like Archipelago and Ooh La La and a Rave Motion Pictures movie theater. Children will love making their own souvenir at Build-A-Bear Workshop, and teens can check out Arena The Next Level for laser tag, bazooka ball and arcade games. Be sure to check out the Spectra light show which takes place on Main Street and features three shows each night during the summer season. The Night at The Movies show begins at 8PM, Patriotic Spectra at 9PM andAqua Spectra at 10PM. The Gulf Bowl in Foley is a well worth a little extra time in the car for families seeking a fun evening. This is another spot that has everything you need for a good time. Captain’s Choice restaurant has been a local favorite since it opened in 1959 and continues to serve Southern favorites like corn fritters, fried pickles and fried crab claws. The new 24 lane bowling alley features state-of-the-art technology and a friendly staff to deliver a fun and family-friendly bowling experience. The arcade has something for the entire family with old favorites like ski-ball and new additions like Deal or No Deal and Big Game Hunter, and the newly added laser tag arena has been an immediate hit among travelers and locals alike. What does your family most enjoy on a night out during your beach vacation? If there are any other area attractions that you would like to see covered in a future post, please let us know in the comments below.